Nano aquariums are great for those with limited space. They can fill an empty corner or change the look of a room. With all of the advances in filtration, lightening, and pre-created eco-systems, Nano tanks are easier than ever to start and keep up with. Yet, just because they are small does not mean that you can just visit once in a while and then forget about it. You need to be extra careful because of the small space and limited possibilities. Any change will happen fast and will affect your whole tank and all of its dwellers. By using the following tips, as well as a little extra patience and care, you can have a thriving, healthy and beautiful Nano aquarium for a long, long time. 1. Give your Nano all the support it needs. Even though it is smaller than regular tanks, Nano’s still can weigh up to 120 pounds fully loaded. Make sure you don’t come home to find all of your hard work and money are now all over your floor or soaking in your carpeting. 2. Make sure your equipment is ‘Nano’ specific. Space is at a premium so, you will need micro-sized jets, compact heaters, etc. 3. Use a closed loop system to add circulation/flow into your Nano tank. By ‘closed’ it means that both inlets and outlets are submerged to draw water from the tank, through the pump, and then back out. It’s all about good ‘flow’ for optimum tank health. 4. Limit your imagination when creating Nano tanks. By staying small and not overloading your Nano, you will be able to keep water parameters level, deflect stress and prevent ‘crowding’ for inhabitants. 5. Become a stylist and shape your live rock to fit your Nano space. If you want to stock it with corals – remember to foster ‘Nano frags.’ Frags are corals that are cut and then stick to a plug or rock to help it grow and create its own colony. Size is still king, and in the Nano world, it has to ‘fit’ in and look natural and normal. 6. Everyone has to get ‘along’ in a Nano. Make sure the fish you stock are friends with each other, or the corals you pick won’t kill each other. Aggression happens not only with fish but with anemones, corals, etc. as well. Some stony corals emit stinging tentacles while some soft corals exude noxious chemicals. All this equals a very unhealthy and deadly tank life, which means more problems for you! 7. Try to use natural filtration in your Nano tank. Let nature help you out by using live plants, live rock, and live sand, creating an eco-complete system for minerals, nutrients, and healthy tank dwellers. 8. Parasites, disease, infection – in a Nano world, these problems can happen fast and be deadly. The best to treat these worries is by ‘quarantine.’ Yes, it takes up time to keep fish, corals, livestock, etc., separate for a while. In the end, it will be well worth it. A friend of mine decided to forget about ‘quarantine.’ The coral was added directly into his Nano. ‘Slugs’ were hiding in the coral, so once inside his Nano, they had quite a dinner feast on all of his tank coral dwellers! The moral of this story: Always Quarantine! 9. Water quality is vital to success with a Nano tank. RO/DI water is the best because it is the purest that can be found, and it will let you ‘temper’ your Nano to create the right balance and conditions specific to your dwellers. You only need to change 10-20% of the water weekly, but if your Nano is getting crowded or you have dwellers with larger bio-loads, then water quality has to be perfect (or as close to it as possible). 10. Finally, you need to act quickly when you notice or see problems in your Nano. Little problems will turn into big problems in no time. If you start to see white spots on your Clown fish, or find out that your Nano’s nitrite levels are getting out of sync, take care of it now before your entire tank crashes. Be observant on a daily basis, test often, change your water regularly, and take care of any problems right away before they get out of hand. A healthy and long-last Nano depends on you! Want to purchase nano cubes? Visit our shop for a hassle-free online purchase. For more information on nano aquariums, saltwater aquariums, freshwater aquariums, nano cubes, aquarium maintenance, coral and livestock visit our website. 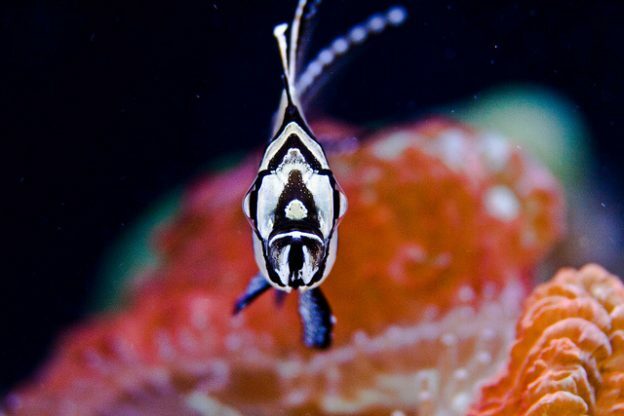 This entry was posted in Aquarium Maintenance, Industry News and Tips and tagged aquarium experts, Aquarium Maintenance, aquarium upkeep, coral, fish, livestock, nano aquarium, nano cube, phoenix aquarium on December 1, 2014 by admin.